Christmas sparkle? Check, check and check. 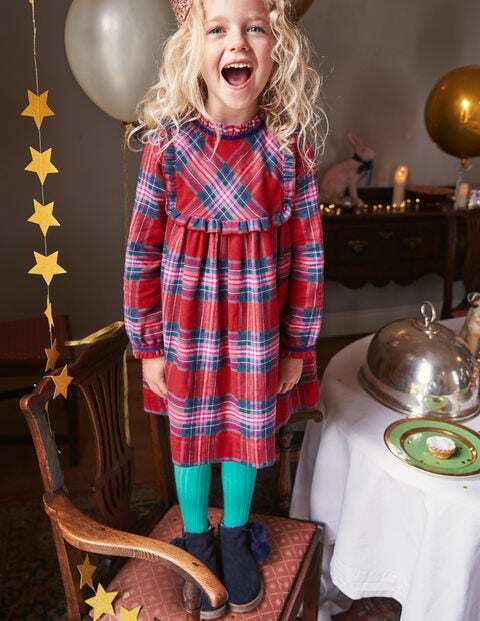 The tartan print of this dress is well and truly in the festive spirit. With a full lining, cosy long sleeves and ultra-soft brushed cotton, it's sure to be the envy of other igloo-builders and present-openers. We didn't forget about party-goers either: smart velvet tape and miniature ruffles around the yoke make it perfect for seasonal mini gatherings.